This kit is a 4 figure set, a real mixed bag of branches of service. 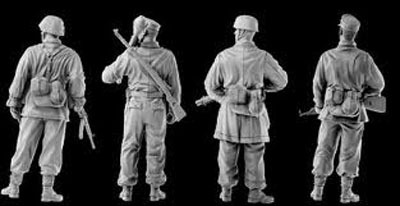 Figure 1 is an SS man, in early pattern camouflage smock, armed with an MP-44 and stick grenades. Figure 2 appears to be a Hitler Jugend member, with a Volksturm armband, armed with a rifle and Panzerfaust. The Panzerfaust comes with open or closed sights, and full markings. 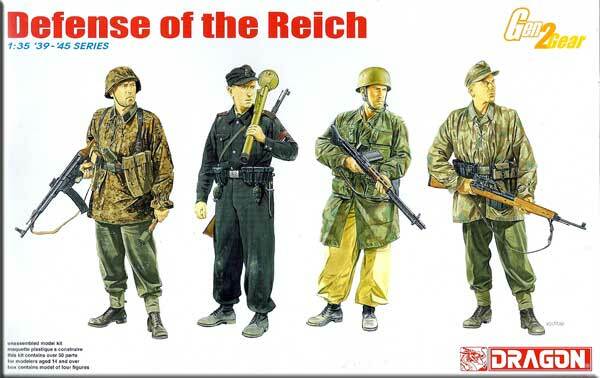 Figure 3 is a Fallschirmjaeger, in their distinctive splinter-pattern smock, and is armed with the FG-1 paratroop rifle, as well as separate ammo pouches slung round his neck. 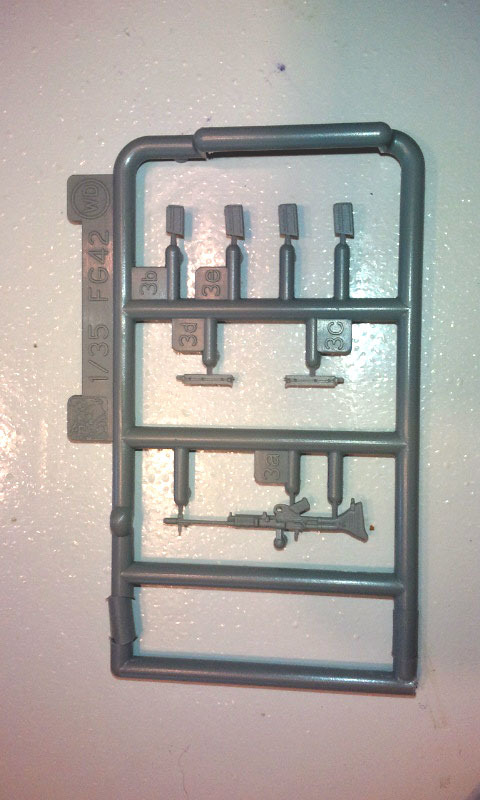 This weapon is supplied in several pieces on its own sprue, and is quite delicate until fully assembled. Figure 4 is a Wehrmacht man, possibly a sniper, in late pattern splinter camouflage smock, armed with the G-43 semi-automatic rifle with scope. All four figures were assembled for this review. 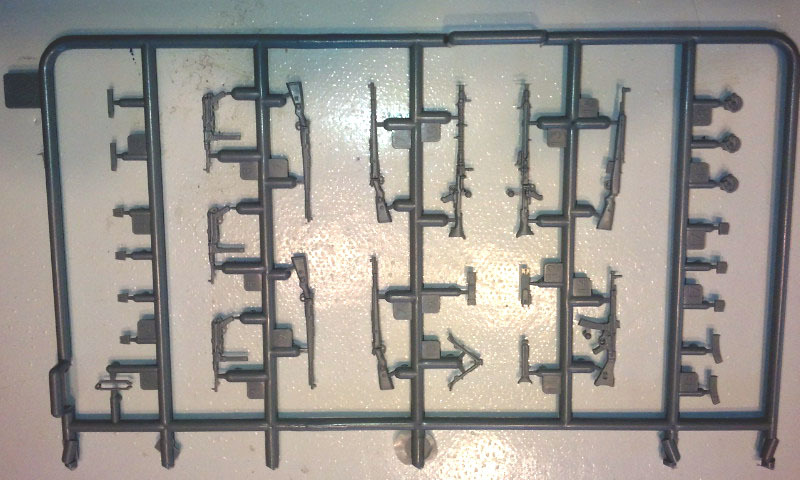 The fit and finish on all parts is very good, provided they are built as shown on the back of the box. 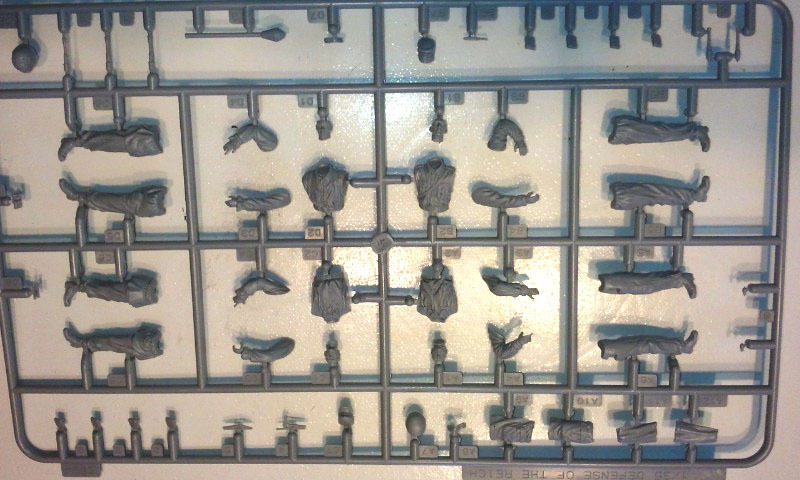 The weapons fit comfortably as shown, since the hands and arms are contoured for them. All four are in a relaxed pose, with weapons held casually, looking a bit to their left. Surface detail is very good, with realistic bagginess to the smocks, excellent wrinkle detailing, laces, etc. The faces are all very well rendered, with a different look to each. Flash is minimal, mold seams easily dealt with, and no surface flaws noted. 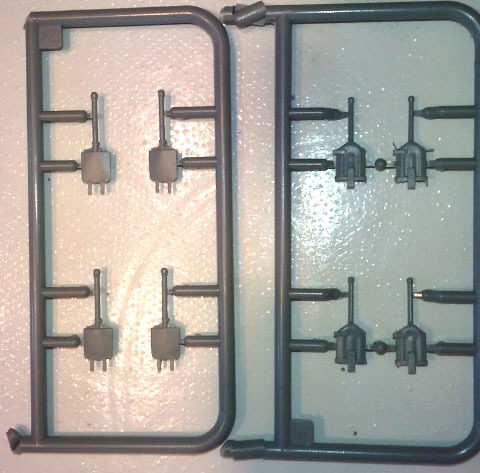 The plastic itself seemed bit soft on my review sample, not yielding to scraping as well as a harder styrene. Because of the softness, there is a tendency for the knife edge to dig in a bit. This is a good “fill-in” set, as it is unlikely all four would have been seen together. 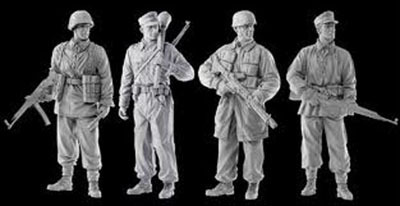 The figures will lend themselves to filling out many a diorama scene, or as individually presented items. 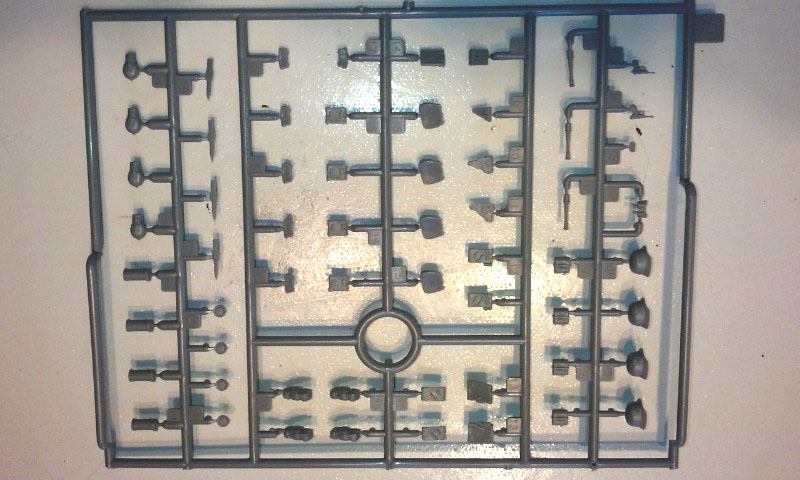 The inclusion of a full Gen2 gear sprue leaves lots of extra weapons and personal equipment for the spares box. This reviewer is glad to have them built and ready for use, and gives a “Well Recommended” rating. My sincere thanks to Dragon USA for supplying this review kit. It’s a good day to build a model!